Here's Pippa's latest newsletter. If you haven't met Pippa she's one of our precious Mission Partners, working with Fusion, the charity linking students and local churches. If you'd like to encourage Pippa (or even start supporting her directly) then you can reach her on pippa.elmes@fusionmovement.org . September is the start my 'new year' so I made you a little video of my first week back (after a post-Conference week off) - see it above or here. Thank you for your prayers and encouragements for the Student Work Conference, it was amazing. There was a tangible hunger to engage, to worship and to be honestly challenged both amongst the 300+ delegates who came and amongst the team who delivered it. A renewed conviction around the importance of prayer was a main theme and we've since heard that one group have done a 2 hour prayer walk on campus every day of September, others fasted for three days in prayer for their campus and one student worker literally wrote the two challenges of the final session - to walk in obedience and faith - into her shoes! 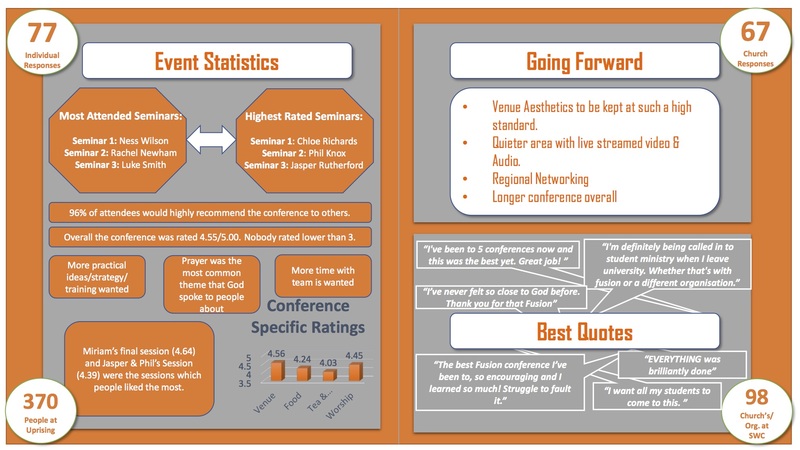 You can see some of our Conference feedback in stat form below, if you like that kind of thing, or see more photos here. You can even listen to some of the talks if you'd like to. 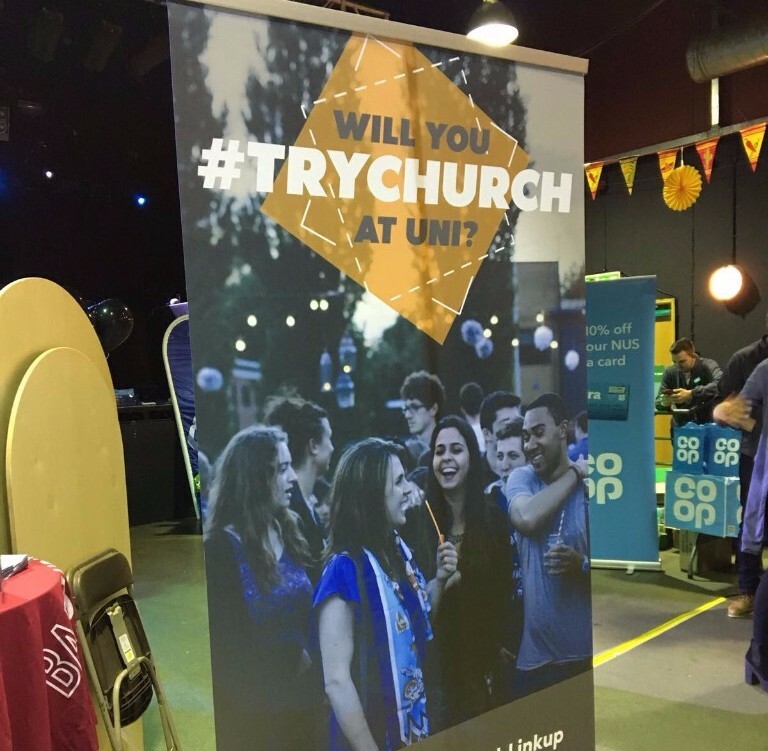 This year, in the wider Fusion team, we have been encouraging churches to go beyond inviting just Christian students to connect with church and to invite allstudents to #TryChurch, some for the first time. 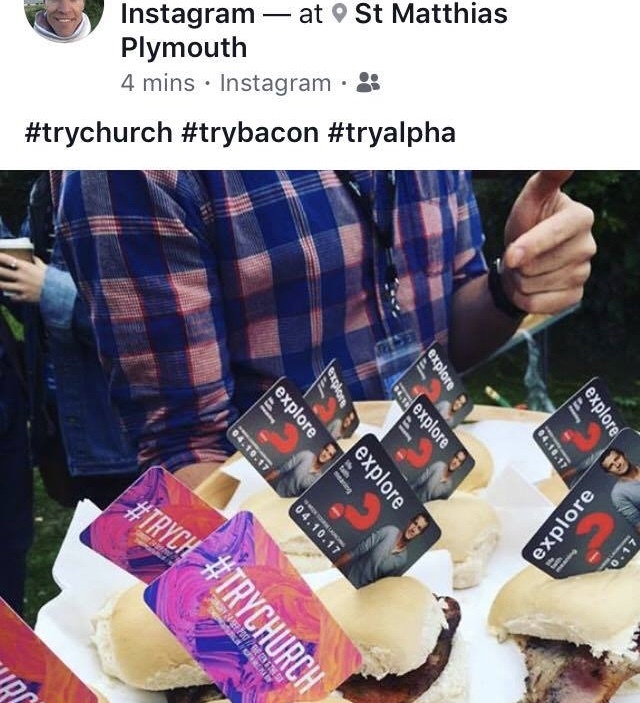 We've had over 300 students connect so far through the #TryChurch Freshers Fair stands we're hosting with local churches at 21 universities and some churches are also adopting the hashtag in their own ways (see St Matthias Plymouth's cool cards below). One student messaged a student worker through the app saying 'you've said your church meets at 6pm, but which day is it on?' 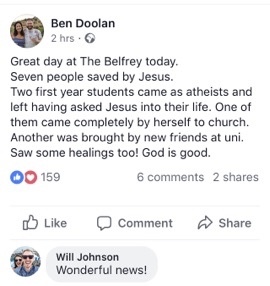 - some of these students have no prior connection with church at all. Please pray for these interested freshers and for the churches as they prepare to welcome new students to their towns. We still have nearly half the stands to go! - Thanksgiving for Hannah and Georgie who have both moved on from the Fusion team over summer - Hannah to focus more on a new church plant in Nottingham and Georgie to a Music Therapy Masters. They have both been such blessings to the Student Work Team. 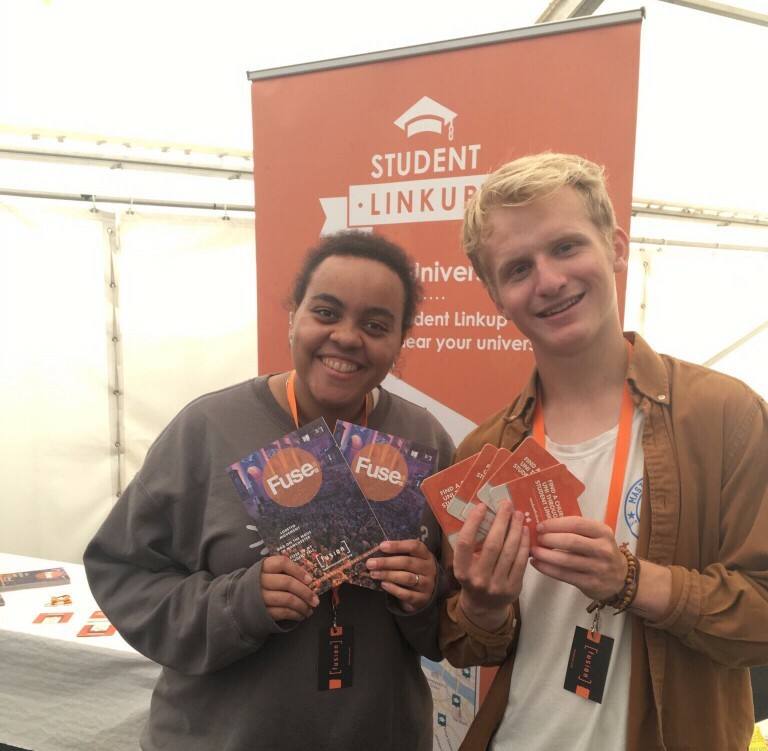 - For freshers arriving at universities in these coming weeks, for confidence, quick helpful connections, great friendships and that students would meet Jesus even in this first term. - For churches as they welcome these students, that they will welcome them proactively with hope and hospitality.